Hormonal imbalances can present themselves through many symptoms. They include fertility problems, weight gain, fatigue, depression, insomnia, irregular periods, and mood swings. If these are left untreated, they may lead to diseases like diabetes and cancer. Some women may mistake their hormonal imbalance for menopause or early menopause because symptoms also include hot flashes and night sweats. Unfortunately, self-diagnosing these symptoms may only lead you away from getting the right treatment and recognizing what is causing it. Your endocrine system is extremely sensitive to stress. You could be experiencing dietary stress that occurs when you eat the wrong foods for your food or have too many processed foods. There’s also emotional stress from working too hard, not getting enough sleep. The pain and inflammation may be adding to your stress. When you are chronically stressed, your estrogen and progesterone levels drop because your cortisol levels rise. These lead to weight gain, irregularities in your menstrual cycle, and even infertility. To begin balancing your hormones, you need to start with dealing with the source of your stress. Change your diet and make some changes to your lifestyle. 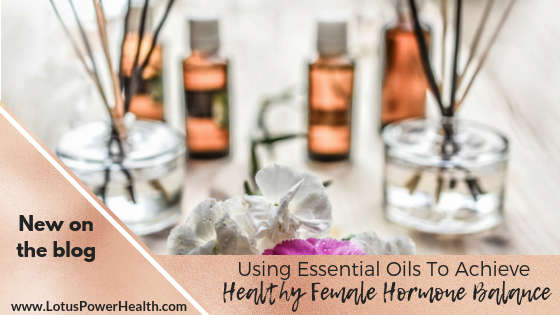 To support you in taking those positive steps towards achieving healthy hormonal balance are essential oils that many women have great success with alleviating cramping, PMS, and other symptoms. 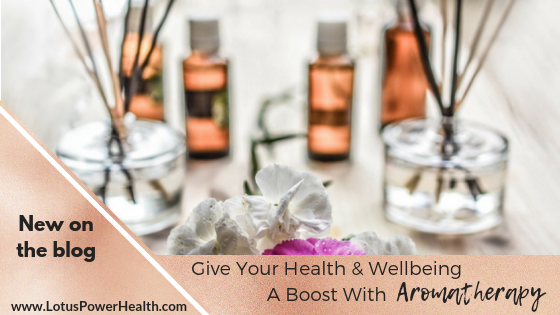 The holistic approach of using essential oils is one of the safest ways to correct hormonal imbalances. Taking pharmaceuticals may only correct one imbalance and create other complications in other parts of your endocrine system. Essential oils may be diffused, inhaled, or applied directly to the skin. They can also be taken internally but do take extra precaution when consuming oils. The essential oils themselves do not contain any hormones, but they do promote hormone production and balance. The following essential oils have exhibited therapeutic effects and have aided in the balance of estrogen levels. For the practical uses of essential oils, you can mix them with carrier oils such as coconut oil or avocado oil. Basil essential oil soothes anxiety, feeling overwhelmed and exhaustion. Rub a few of drops of high-quality organic basil oil diluted in a carrier oil into your forearms. This will bring balance to your adrenals. Myrtle oil can stimulate thyroid activity and has the natural ability to balance and normalize hormonal imbalances of both the thyroid and ovaries. Rub a couple of drops of organic myrtle oil in a carrier oil onto your big toe which is the reflexology point for the thyroid. It is found at the base of the foot in the fleshy area just below the big toe. Clary sage is quite helpful in not only balancing hormones but for also relieving pain. Dilute a few drops of clary sage in almond oil and rub the dilution into the ankles regularly. Rub the mixture on your stomach and ovary area for pain relief if your menstrual cramps are painful. To alleviate PMS and other feminine pains, add a few drops of clary sage and geranium diluted in a carrier oil. Also try adding it emulsified in a warm milk bath to enjoy a nice, relaxing soak. For abdominal cramp pain relief, Lavender helps balance hormones and decreases feelings of stress and depression. It calms the stomach and relieves headaches. When it comes to using essential oils, you can create your own blends. Remember that essential oils are very concentrated and you’ll only need a drop or 2.